Who's the hottest babe of them all? 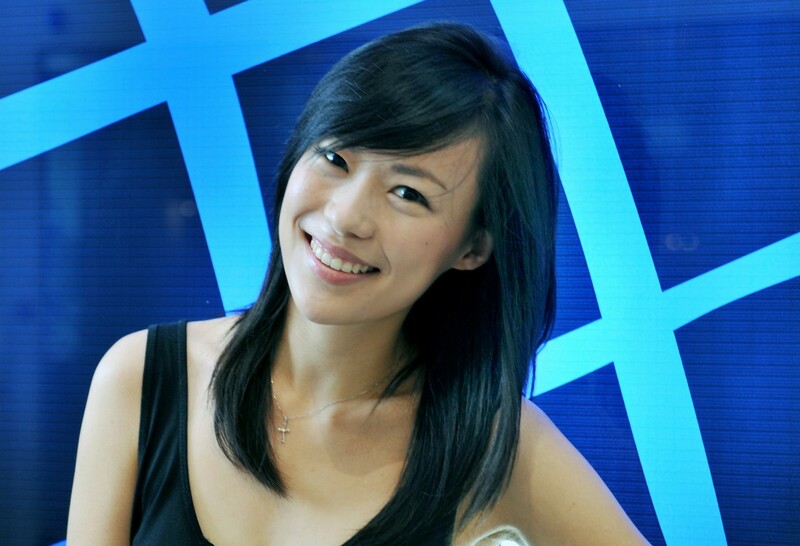 Rebecca Lim, Stefanie Sun and Fann Wong are in the running this year for TNP's Babe of the Year award. Check out these babes who made us do double takes. Who will take home the prize? Will reluctant babe win again? She bagged Babe of the Year back in 2011. This year, the 1.67m-tall local actress has been nominated again, in the same category. The down-to-earth 28-year-old said: "It's always very flattering to be nominated. I won it once and I think I can never get used to people calling me babe." Looking back on 2014, Lim - who has a leading role in Channel 5 drama Mata Mata 2 - agreed that she has had "a very good year". At the Star Awards in April, she was named Best Supporting Actress for playing a thrice-divorced senior sales manager in the Channel 8 blockbuster The Dream Makers. On top of that, she took home her third consecutive Top 10 Most Popular Female Artistes award at the ceremony. She was also nominated in the Best Actress category for her dual roles in drama series Sudden, where she played both a naive lawyer and her cunning twin sister. But she lost that to veteran actress Chen Liping. The year marked the comeback of Mandopop queen Stefanie Sun. The 36-year-old homegrown superstar returned to the scene with her 12th album Kepler in February, and has not stopped working since. She embarked on her Kepler world tour, performing to sell-out crowds in China, Taiwan and Hong Kong. And like Fann Wong, she's looking better than ever. 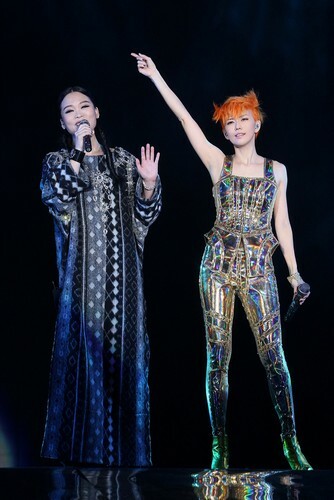 Her concert under the iconic dome of the new National Stadium in July attracted more than 20,000 people, showing that her popularity has not waned, even after she took a three-year hiatus to get married and give birth to a son. The 35-year-old Mandopop queen frowned slightly when quizzed by The New Paper if she is keen to shed the mumsy label. 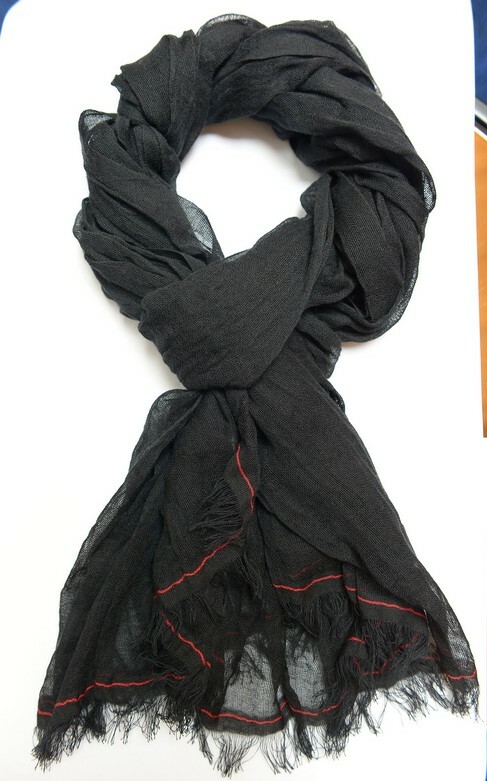 "'Mumsy' has a negative connotation, it usually means frumpy, right?" she mused. "I definitely don't feel frumpy. Motherly, yes. But not mumsy." Sun, who was sporting a short, spunky crop of bleached blonde hair, is the first pop act to perform at the new National Stadium, on July 5. The youthful-looking pixie-faced singer is looking forward to showing off her nifty footwork. "Giving birth really changes a woman's body. I took some time to train up in preparation for my tour." The first-time mother said the going was the toughest when her son was still a newborn. A photograph of Sun holding her baby son's hand. Taking care of him stressed her out so much that she relished the idea of having helpers relieve her load. "In the beginning, it was overwhelming. Suddenly, you have a baby who needs you on hand to change his diapers and feed him, all day, all night..."
"It felt like I had no time left for myself," she said. "I did think, 'Maybe it'll be better if I go off to work and let somebody else take care of him, it wouldn't be so tough then.'" 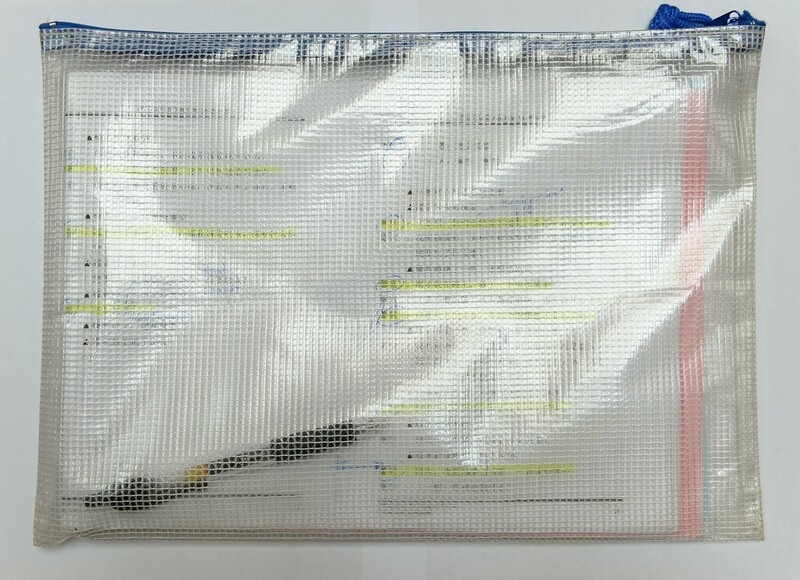 In an interview with TNP last May, Sun had said that she has a helper, although she did not elaborate if the helper was a maid or nanny. "Looking after my son just gets easier. Now, I don't want to get out of the house! I want to be constantly around him to see what he's up to," she said. "We've been spending so much time together... I play him songs like Mexican folk tune La Bamba, as well as my own song Wu Xian Da (Infinite Possibilities). "After listening to the latter, he learnt how to say the word 'da' (Mandarin for big)." After a slight pause, she added: "Whenever I go on tour, there is a lot of guilt. It's inevitable. I try not to think about my son at work, because I might cry." Having a baby usually changes the dynamics between a married couple. So does Sun and her husband, 36-year-old Dutch-Indonesian business executive Nadim van der Ros, still have time for romance and intimacy? Sun tied the knot with Dutchman Nadim van der Ros, 34, on March 31 and held their customary Chinese wedding banquet on May 8, 2011. "These days, we feel more like a team. We try to decipher what our son wants, we spend a lot of time talking about his development and growth, it's a nice feeling. "It's very important in a relationship." "That said, once a week, my husband and I try to take a day off to do something, just the two of us. Local singer Stefanie Sun has been so protective of her baby that a recent incident was a reality check. The 35-year-old star told a Thai tourist who was seated nearby on the plane to stop snapping photos of her and her son - only to realise that the tourist was merely holding her mobile phone up. She said with a laugh: "The tourist may not even know who I am at all. I felt slightly embarrassed for being paranoid." Sun, who will have to travel for work, does not want to take her son overseas with her, if possible. She added: "I don't go out of the way to hide him from the public, but if someone comes up to me and wants to take photos of my kid, I will decline." Said Sun: "In the past, I could do whatever I wanted. I could watch TV or go shopping if I felt like it, but I can't do that now. 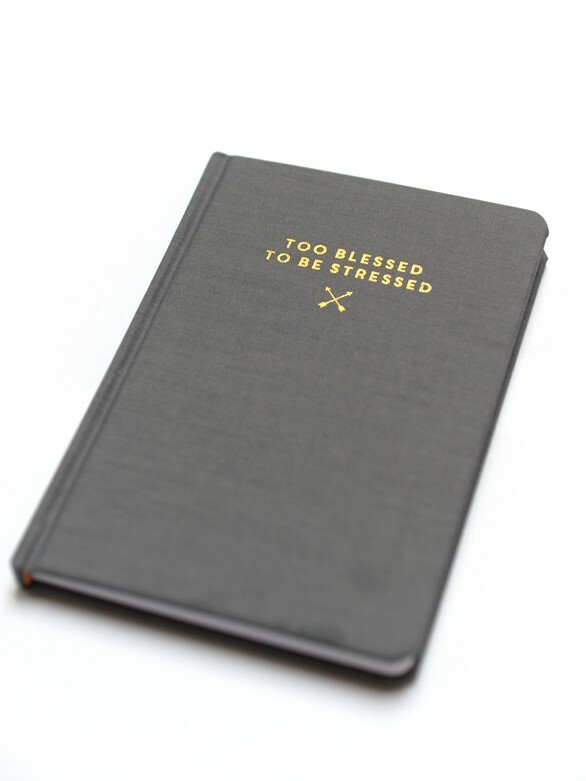 My life has become very busy, yet eventful." Sun is determined to have a less-packed schedule so she can spend time with her family. She said: "I have never thought of deliberately including my son in my work. I want to separate my work from my family life if possible." For now, singing him lullabies such as Twinkle Twinkle Little Star every night is good enough. "He is very sensitive to music and will move along to the songs whenever I sing for him." 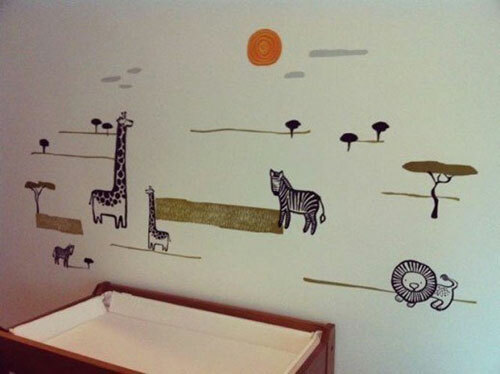 Sun posted a photo of the baby's nursery on her microblog in Oct 2012 and wrote that "I'm waiting for you". While pregnant, Mando-pop star Stefanie Sun wrote in her blog that she is working out harder than before. She posted a photo of herself using the gym equipment in August. She took to her blog with thoughts about her pregnancy. She posted that she has been working out about five days a week, even more than when she was preparing for her concerts. Three days are dedicated to gym work, and she hits the pool on nights when she can make it. The exercise, she says, is to prepare her body for the delivery, as she believes she needs to be strong for the delivery and "to be a strong mother". Sun added that she has gained about 12kg. But as she approaches the final leg of her pregnancy, Sun says she has been skipping the workouts for naps and long baths instead. She complained about her forgetfulness, swollen legs and not being able to sit "without looking somewhat vulgar". Sun expressed excitement about the baby's arrival. According to media reports, Sun and her family are aware of the baby's gender, but plan to keep it under wraps. But at good friend Jolin Tsai's concert in Beijing recently, the Taiwanese pop star let slip that Sun is having a baby girl. 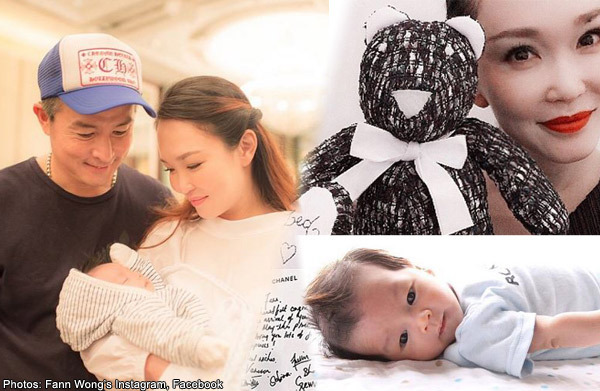 While the nation was partying on National Day, celebrity couple Fann Wong and Christopher Lee celebrated the first birthday of their son, Zed, at the Shangri La Hotel. 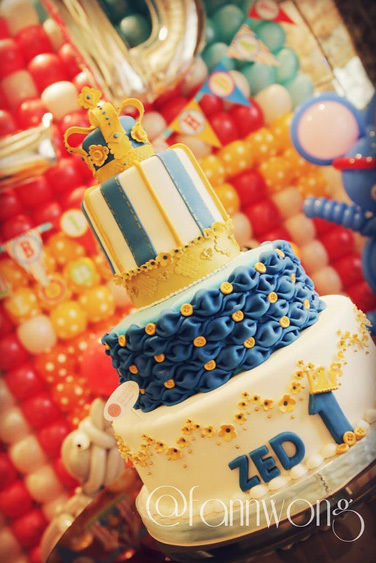 Fann posted photos of Zed's three-tiered, blue and white birthday cake on Instagram and Facebook with a caption: "One year old, and many many many more to go". A number of Singapore stars attended the party, including getai star Liu Ling Ling, actress Jacelyn Tay, actor Zheng Geping and his wife, actress Hong Huifang. Actor Christopher Lee had special Father's Day this year - the first year he is celebrating the occasion as a parent. 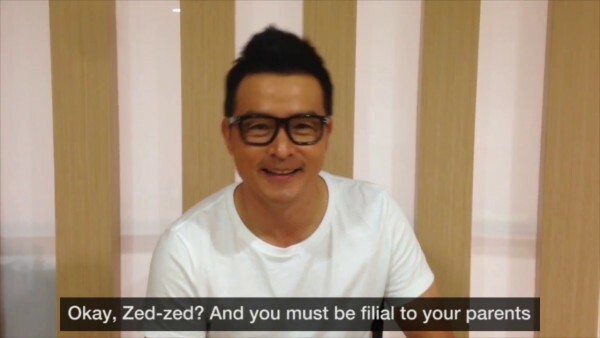 In a video clip, the elated first-time dad shared with herworldplus how it feels to be a father, as well as his message to baby Zed. And his message for Zed is simple: "I want him to grow up quickly and healthily... May he grow big and strong soon so he can play golf with me." "And you must be fillial to your parents and love Papa and Mama, alright?" About Father's Day, Christopher said: "If you ask me about my feelings... Well, I'm elated! I will definitely cherish and spend this day wisely." 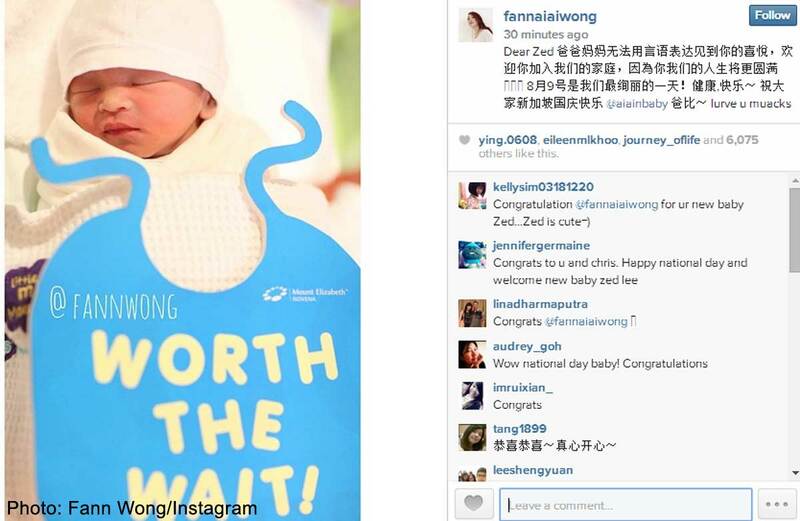 It has been three months since local actress Fann Wong gave birth to baby Zed. For the first-time mother, the journey of raising her infant son had a bumpy start. Her lowest point so far? The 43-year-old recalls breaking down in tears when he could not be discharged from the hospital due to dehydration. She added: "I felt that I didn't let my son drink enough. My mother and husband told me to stop crying and showed a lot of concern for me. My mother kept asking, 'What happened to you?' when she saw me." She made her first official public appearance yesterday morning (Nov 14, 2014) at the praying ceremony for upcoming StarHub drama series My Secret App, which she will start filming next month when her maternity leave ends. The star, who managed to revert to her pre-pregnancy figure in just three months, looked radiant in a long-sleeved printed shirt dress. She said: "As I'm still breastfeeding, I want to give Zed all the nutrients he needs. 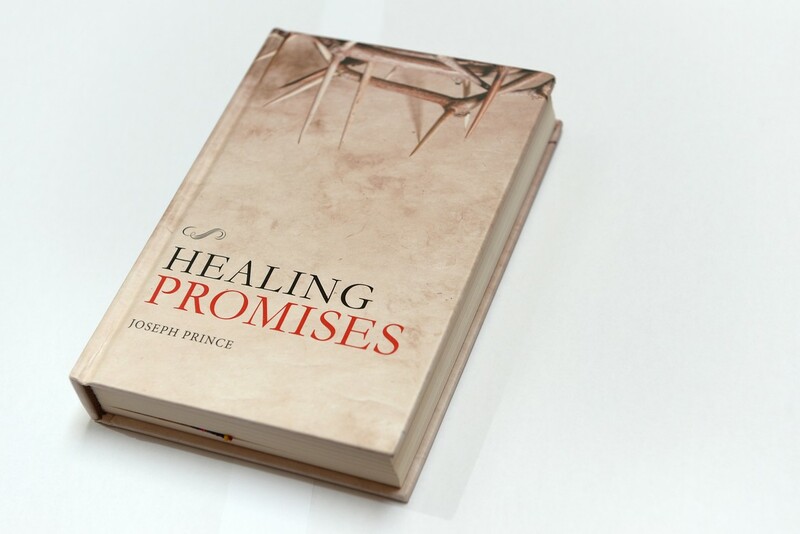 During the first month of confinement, I didn't really watch what I ate - I would have an entire bowl of pig trotters in vinegar and a whole fish on my own." Wong hopes to be a strict mother when Zed grows older as she does not believe in spoiling or pampering her kid. The proud parents want to try for a daughter next, even though Wong says that there is no pressure to do so. 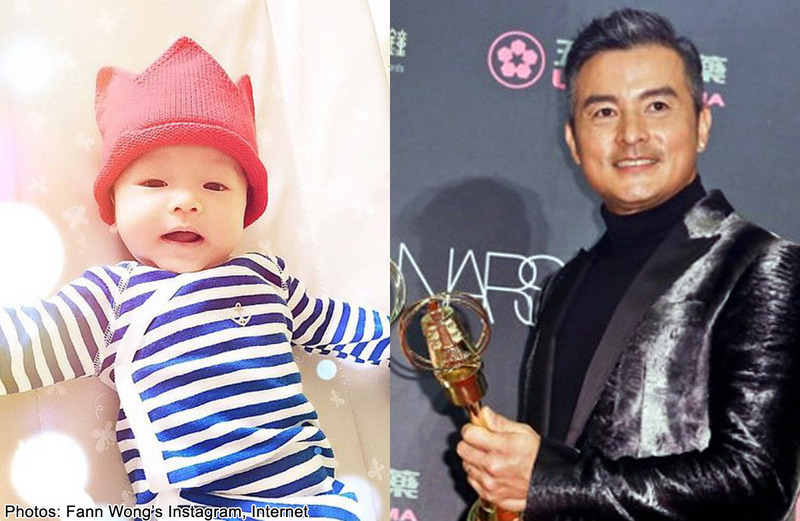 In a separate story, local actor Christopher Lee would breastfeed his son if he could. That is how much he loves his newborn, who, he feels, was the reason he won big at the 49th Golden Bell Awards on Saturday. Lee scored the Best Actor award for hit Taiwanese drama A Good Wife (2013) - his first acting accolade outside of Singapore at Taiwan’s equivalent of the Emmy Awards. 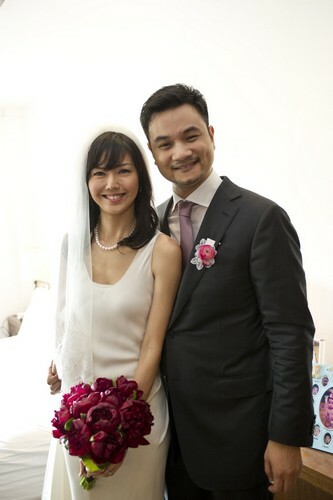 Lee, 43, said: "When I married (local actress) Fann (Wong), I could feel that she brought me good fortune. It’s the same feeling that I got when my son Zed was born (on National Day). I do want more babies. 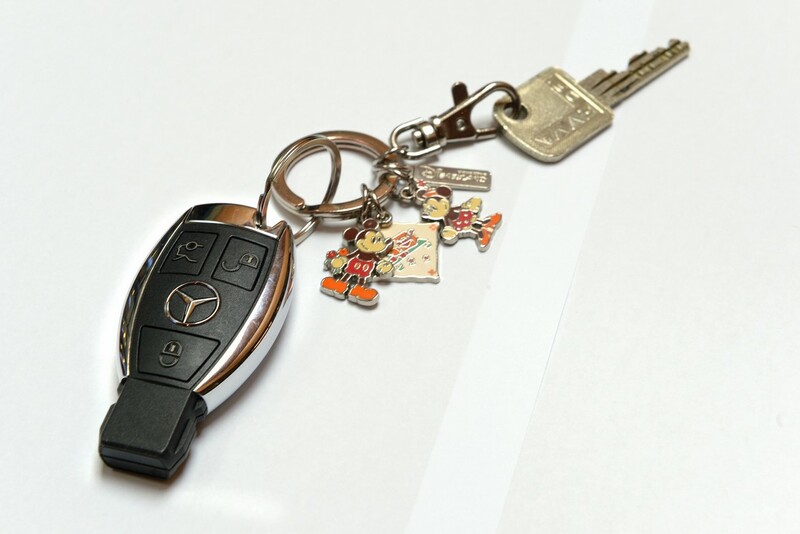 In fact, Fann wants them even more than me now." 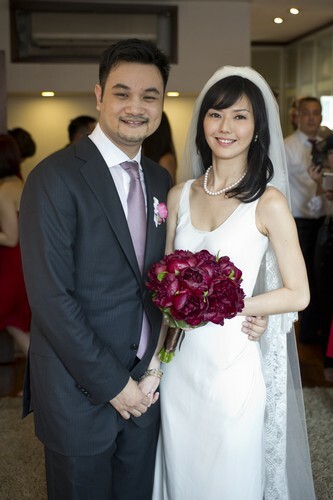 Actors Fann Wong and Christopher Lee recently marked their 5th wedding anniversary on Sept 29. They shared their joy with the world via loving messages on their social media accounts. 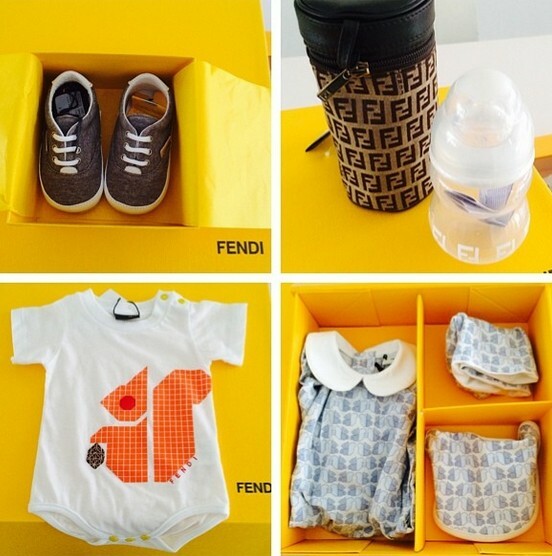 Since his birth, Baby Zed has been lavished with luxury gifts from his parents' generous friends. 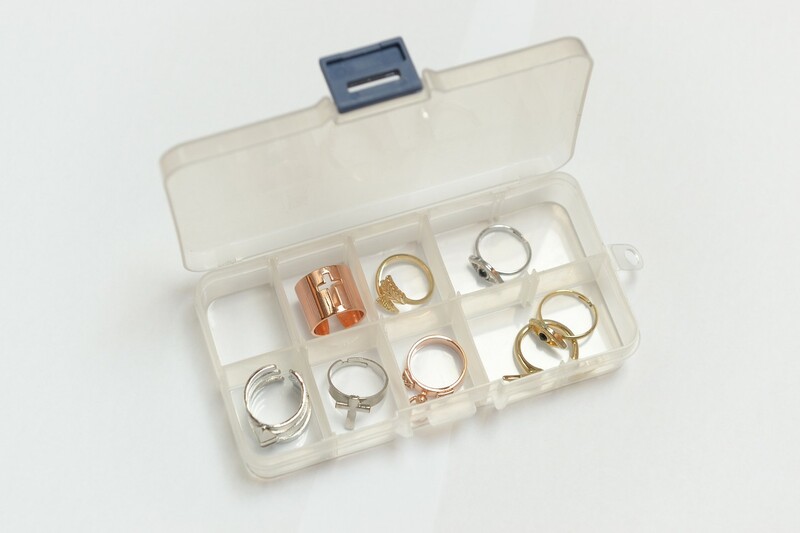 And even a pair of diamond earrings, which Wong said she will put in safe-keeping for her future daughter-in-law. 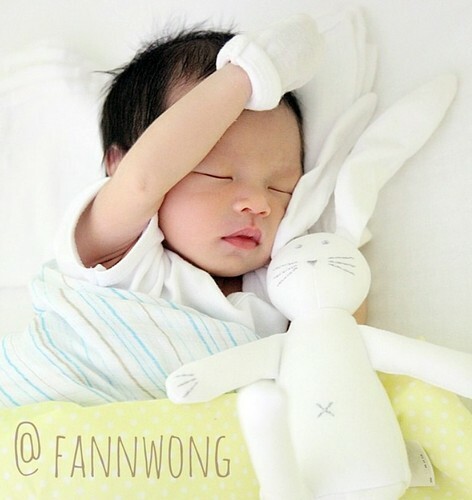 Giving birth to her newborn Zed was a memorable experience for Fann Wong. Fann's gynaecologist told her that she had to go through a caesarean section. She could not opt for natural birth. When Fann first heard the cries of Zed, she felt that everything was worthwhile. Her husband, Christopher Lee describes how she could not stop crying. Before Zed's birth, she was calm but she could not control her tears when she saw Zed. The couple exchanging a warm smile at each other. Even though she has not been sleeping well, she is excited about the whole journey of parenthood. Knowing Zed all over again, from holding him for the first time to breastfeeding him since she became pregnant, is an emotional experience for Fann. Every moment of motherhood is beautiful to her. Christopher feels that she has changed a lot for the family since she became pregnant. The interview ended off with Chris describing how Fann has a motherly feel about her now. 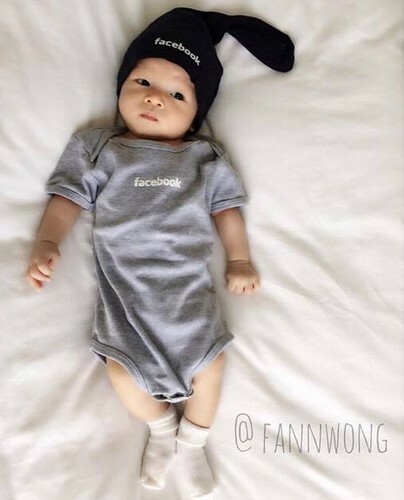 Fans praised the baby for having good looks and beautiful jet-black hair. The celebrity couple had already begun to receive gifts even before Zed was born. 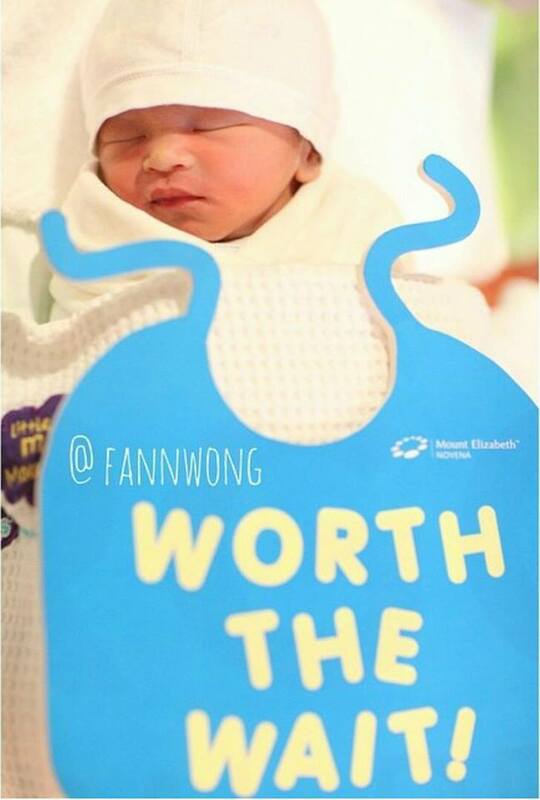 Local actress Fann Wong gave birth to a baby boy on National Day. 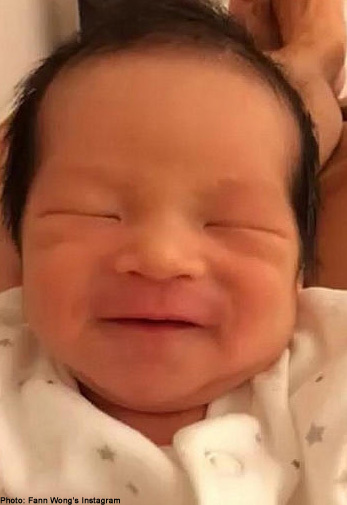 At about 8.40pm on Saturday, minutes after the National Day Parade had ended, the 43-year-old celebrity, who is married to fellow actor Christopher Lee, posted a photo of her newborn on her Instagram account (@fannaiaiwong). Local celebrity and Marie France Bodyline spokeswoman Fann Wong revealed her reactions first-time motherhood. Her responses were filmed in a two-part video released on Marie France's Facebook page recently. On her baby's first kick, Fann said she was awaiting the day for the first four months of her pregnancy. "So one day, I was at the dining table writing some stuff, and suddenly I could feel the baby kick. I was like, 'oh, baby, finally!'" She also reveals that her baby's name will not be decided until his/her birth. Fann was left confused by her first sonogram, and needed guidance from the gynae. Some behind-the-scenes footage of her photoshoot with Marie France was captured in the video. I always wanted to be a mother, from the moment we decided to get married, we planned to have a family, but it's just that it's planned for us to have a very long honeymoon. Once we knew that we were having a bundle of joy we were so, so, so happy. The only thing I craved in that time was lime juice, lime juice, lime juice. Right now since I'm in the third trimester I'm eating like a dinosaur, so it's quite scary. Most of the time I crave for fruits. I love strawberries, I love berries, I love durians, I love cherries, yeah that's most of my cravings. I'll be attending an antenatal class next week, and Chris will be attending the class with me. Chris is a very active partner, he makes sure that he's with me. He's taking leave till after my confinement, so yeah, I'm lucky to have such a loving husband. It's a bit difficult to tell because it doesn't look like a baby yet. But I'm still happy to see that there's a heartbeat. I didn't feel like eating anything, I had a food aversion and the only thing I craved during that time was lime juice. So everybody was quite worried about me, and especially Chris because he's overseas filming. Here are more behind-the-scenes shots at Fann Wong's photoshoot. 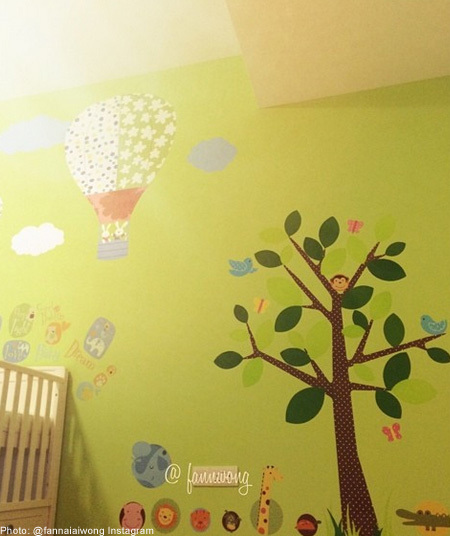 Wong posted a picture on Instagram that showed off a section of the completed room, done up in pale green, with wall stickers that feature a predominantly animal kingdom theme. Her picture was captioned "Pabi's love". The actress made her final public appearance at Diner en Blanc on July 5, 2014, during her 8 months' pregnancy. 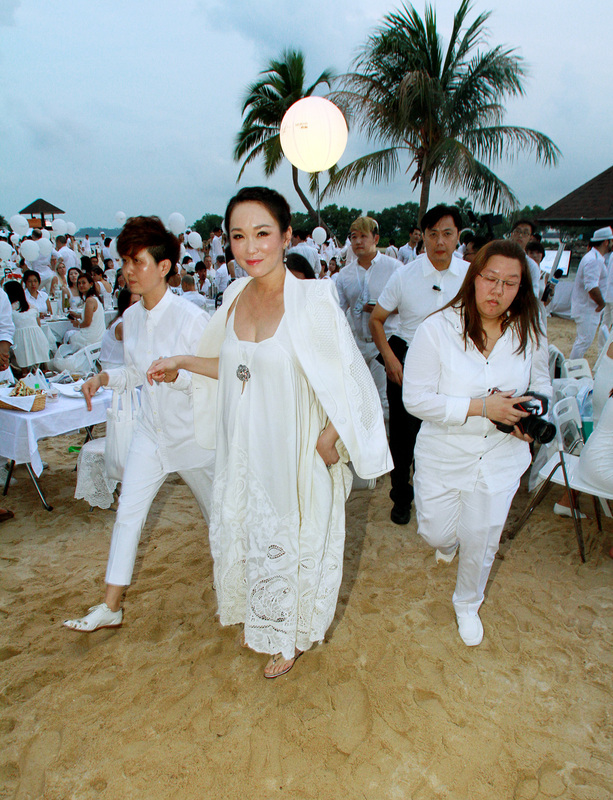 She was dressed in an all-white outfit as was the conventional colour theme of the pop-up picnic. Wong's was in a loose-fitting beach dress and flat sandals with a blazer draped over her shoulders. The 43-year-old, who is expecting her first child, has reportedly put on 17kg since her pregnancy, said The New Paper. According to ST, her friend, who is also eight months pregnant, gained 7.5kg. So how much weight should a woman gain during pregnancy? There is no short answer to this, said ST. It depends on various factors, including the woman's pre-pregnancy weight and her body mass index (BMI), according to ST. Some women are already overweight when they get pregnant. Others may gain weight too quickly during their pregnancy. Either way, a pregnant woman should not go on a diet or try to lose weight during pregnancy. Being overweight before pregnancy increases the risk of various pregnancy complications, including gestational diabetes and high blood pressure, according to the Mayo Clinic health website. Although a certain amount of pregnancy weight gain is recommended for women who are overweight or obese before pregnancy, some research suggests that women who are obese can safely gain less weight than what the guidelines recommend. If the woman is underweight before pregnancy, it would be essential for her to gain a reasonable amount of weight while she is pregnant. Without the extra weight, the baby may be born earlier or smaller than expected. In the first trimester, most women don't need to gain much weight. 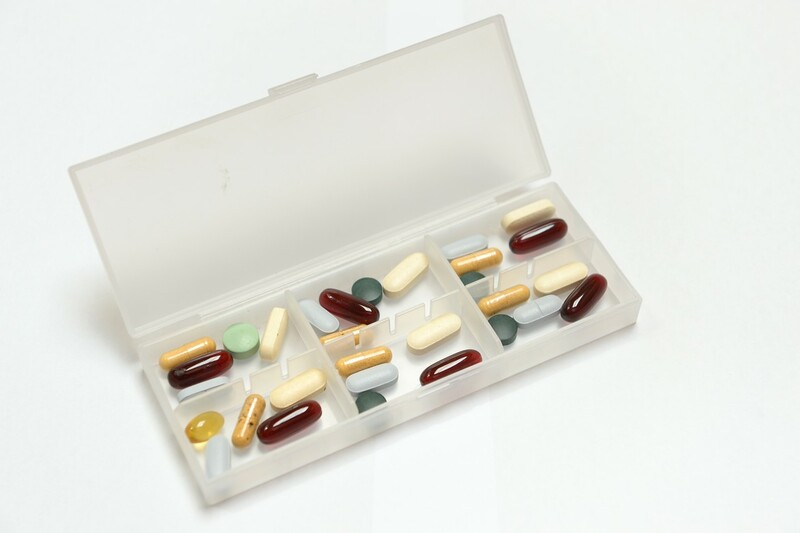 If she starts out at a healthy or normal weight, she needs to gain less than 2kg. But steady weight gain is important in the second and third trimesters. This often means gaining about 1.4kg to 1.8kg a month until delivery. It is also important to realise that there is no one-size-fits-all approach to pregnancy weight gain. The woman's health and her baby's health also play a role, as well as how many babies she is carrying. For those who have normal pre-pregnancy weights, the recommended weight gain is between 17kg and 25kg, according to Mayo Clinic. 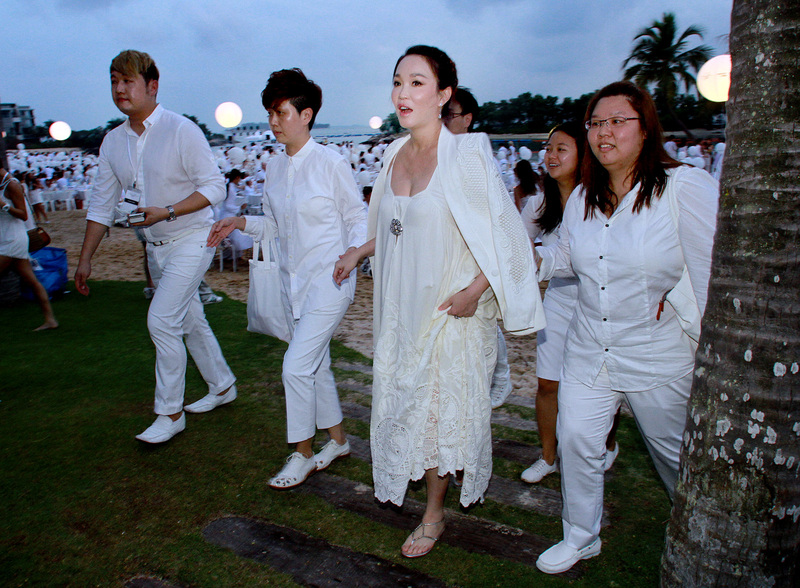 Assuming Fann Wong belongs to this category, then she looks to be on the right track. Slimming specialist Marie France Bodyline unveils first photos of its newest celeb spokesperson Fann Wong. Marie France Bodyline releases second official picture of Fann Wong in what was possibly one of the most "daring" shoots that she has done to date. Fann Wong said: "This is something I've never tried before and will be a good keepsake to remember at this very precious moment of my life". 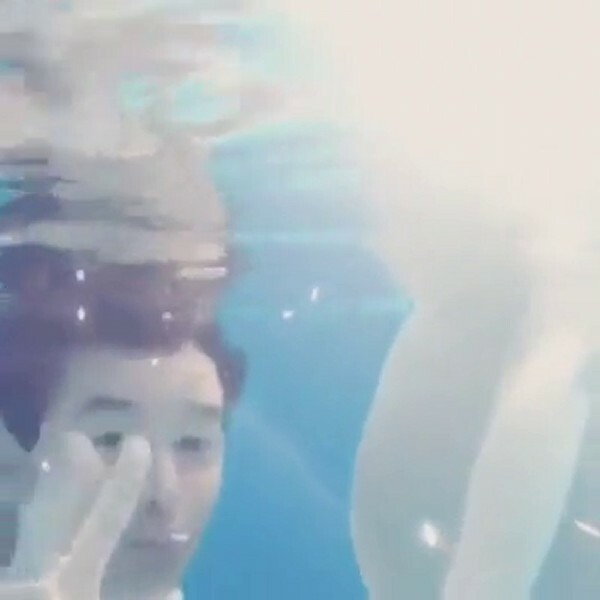 Thrilled by the result of the shoot, the actress posted the photos on her social accounts, which garnered nearly 13,000 likes as of 2pm on 4 Jul. 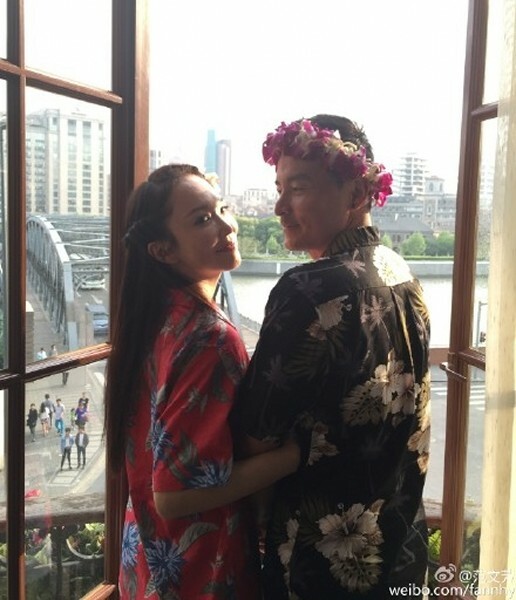 All eyes have been on Fann Wong and Christopher Lee since the actors revealed early Feb that they were expecting their first child. Lee, 42, was more than happy to share that his baby is already starting to, well, have the same taste as him. The veteran actor told The New Paper: "My wife experienced morning sickness, suffering from nausea and loss of appetite during her first trimester. "But she doesn't have many food cravings, maybe because she usually sleeps very early. She also looks just like before and hasn't changed." The couple did notice a slight change in Wong's tastebuds, though - she has taken a liking to eating fish roe, something she did not enjoy in the past. "I love fish roe but my wife doesn't. Recently, she said she wanted to eat it, and she told me: 'The baby is becoming just like you, eating what you love to eat,'" Lee said. "I also don't really control what Fann eats, as I want her to be happy during the entire pregnancy." Even though the public and the media are curious about the baby's gender, the daddy-to-be would rather keep it a secret. Lee said: "We want to let nature take its course and let it be a surprise, so we won't reveal it yet.